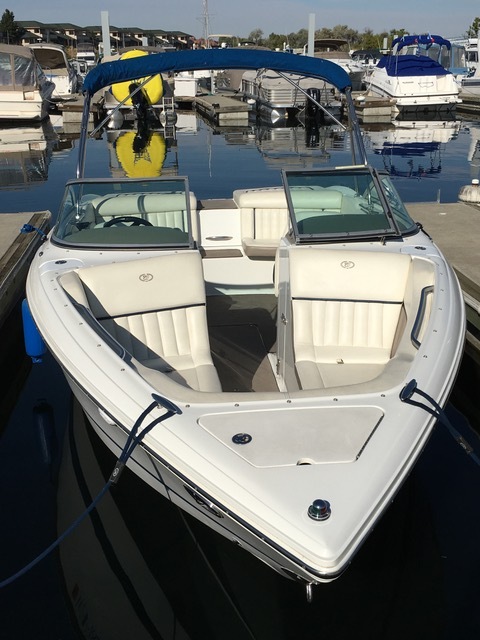 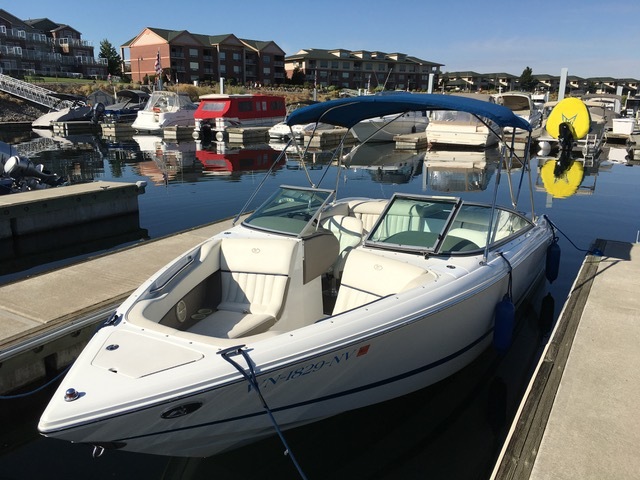 2003 Cobalt 220 in excellent condition. 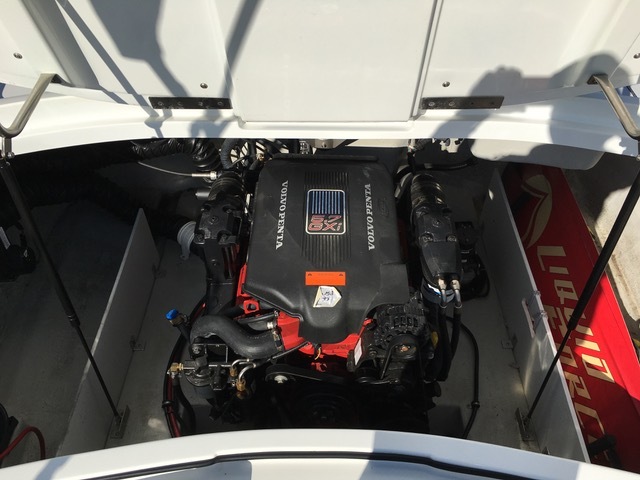 Only 436 hours on 320 HP Volvo Penta DuoProp fuel injected V8. 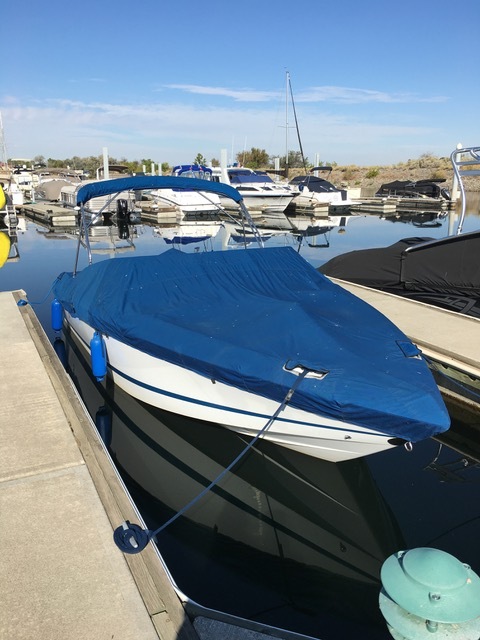 Sport Pacific Blue with Stone carpet interior. 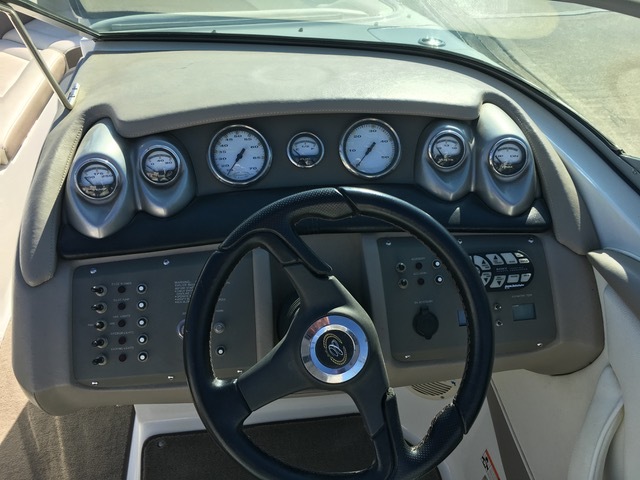 Bimini Top; Bow, Cockpit and Mooring covers; dual batteries; extra pair of stainless steel props; stainless steel docking lights; interior mood lights; automatic fire extinguisher system; AM/FM/CD Sony Sound System with 6 speakers. 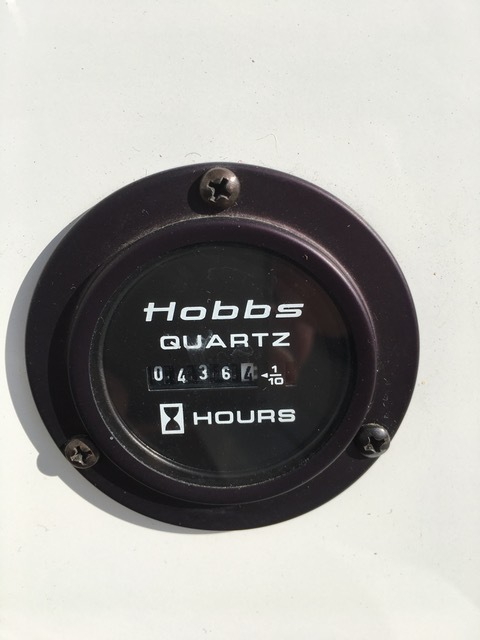 Professionally serviced with service records. 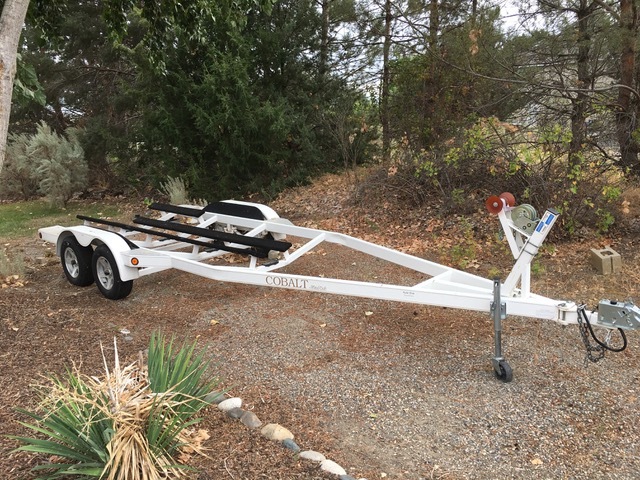 Metalcraft Cobalt trailer with custom wheels and swing tongue.